Montana Travel: Explore the Best | Yellowstone and Glacier. 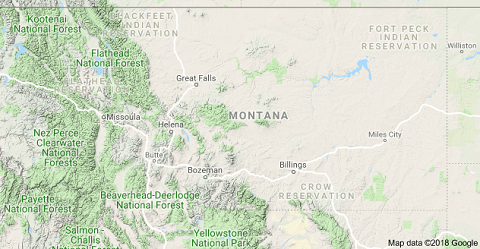 Montana is the 4th largest state in the United States. But its population is small. With slightly more than one million people, the state’s population is about equal in size to San Jose, California. So there’s plenty of room to roam in both rural places and cities. Most residents claim northern European ancestry, with German, Irish, English, and Norwegian heritage being common. Native Americans, first to arrive and cherish this land, are at home here, as well. A good share of visitors in Montana are attracted by the wonders and scenery found in Yellowstone National Park and Glacier National Park. About four million visitors tour Yellowstone each year, and more than three million visitors go to Glacier. But the state has much more to offer those who take time to explore and experience lesser know attractions. Savvy visitors seek out and enjoy the state’s many interesting historical places and landmarks. They find many wonderful museums in cities, big and small. In the great outdoors, fishing, hiking, camping, boating, skiing, and horseback riding are popular activities. Cultural events galore appeal to visitors, too. It’s an ideal and fun place to vacation. Eastern Montana is an area of vast rolling plains. Grasslands with few trees dominate the landscape. Huge wheat farms and cattle ranches are common. In central Montana, the plains are dotted with small mountain ranges.Cattle ranching and farming are a way of life. Mule deer and antelope roam the prairies throughout this region. Map of Montana showing mountainous areas in green and plains in beige. Map also shows small slices of Canada on north, Dakotas on east, Wyoming on south, and Idaho on west. Courtesy Google Maps. Western Montana is a region of magnificent mountains. Welcome to the Rocky Mountains. The Absaroka Range near Livingston is covered with snow much of the year and peaks reach over 11,000 feet in elevation. The wild and pristine landscape is home to mountain lions and grizzly bears. Rainfall is low in most areas, often less than 13 inches, annually. Temperatures in western mountain valleys are generally moderate the year-round. In eastern areas, on the plains, days can be very hot in the summer and very cold in winter. Many good books have useful information for planning travel or a vacation in Montana. Handy to read before you go and helpful when you’re there. Click on link for Montana travel books. Montana has five distinctive travel regions. Each region offers abundant opportunities for fun and enjoyment. The flavor varies a lot from region to region. Learn about all the regions by reading the Web pages in Montana Traveler and find things to see and do that fit your interests and tastes. The southeast and south-central region is Yellowstone. Early explorers noticed prominent yellow sandstone bluffs bordering what is now known as the Yellowstone River. Soon, the name Yellowstone became associated with this region. Visitors enjoy vast prairies and, in the western section, towering mountains. Some cities are Billings, Glendive, Miles City, Red Lodge, and Livingston. Billings (pop. 110,323) is the chief city along I-90 and the upper Yellowstone Valley. Billings is a trade, medical, and entertainment center for a vast area including northwest Wyoming. Billings is a good base from which to make forays to Yellowstone National Park and the Little Big Horn Battlefield National Monument. Cody, Wyoming, a major tourist center, is southwest of Billings. ‘It’s easy to say that the southwest region is Wonderland. As the Union Pacific and Northern Pacific Railroads pushed new tracks west in the late 1800s, railway executives wanted Americans to see and develop virgin lands. To create interest and excitement, savvy railroad managers promoted this region and areas beyond as “Wonderland.” Today tourists flock to this region for outdoor activities, cultural events, and more. Fun is everywhere. Some cities are Missoula, Bozeman, Dillon, Hamilton, and Butte. Bozeman and Missoula are the major cities in Wonderland. Bozeman (pop. 45,250) is located in the Gallatin Valley, surrounded by magnificent mountain ranges. The Gallatin Range and the Madison Range, south of Bozeman, rise more than 10,000 feet and have peaks covered with snow much of the year. Missoula (pop. 72,364) is home to the University of Montana and the mighty Grizzlies. The central region is Ranchland. Rural landscapes here are exceptionally beautiful. Cattle on the range out number people in this region by a gazillion or so it seems. Important cities are Helena, Lewistown, Roundup, and Townsend. Helena (pop. 31,169) is a friendly town with lots to offer visitors. Helena is the state capital and a major tourist center. The main part of town lies at the foot of the mountains in the beautiful Helena Valley. Lewistown, in central Montana, is a quaint small town, supported by ranching. The outdoors near Lewistown is a huge attraction. The northeast and north-central region is Discoveryland. This is an area of vast prairies, with a very low population. Lewis & Clark and other early explorers followed the mighty Missouri River across this region on their journey west. Some cities are Great Falls, Glasgow, Havre, and Shelby. Great Falls (pop. 59,178) is the largest city. Many people who live in Discoveryland shop in Great Falls. Holiday Village, the mall in Great Falls, has over 80 stores. Great Falls has exceptional museums that attract thousands of visitors. The northwest region is The Wilderness, an area of wild and pristine landscape. If one imagines what a wilderness is like, this is the place. Some cities are Kalispell, Whitefish, Columbia Falls, Bigfork, and Polson. Kalispell (pop. 22,761) is the largest city in the region. Glacier National Park and Flathead Lake are huge attractions in this area. In Glacier, visitors see some of the most spectacular landscape in North America. Travel tip: How far is Missoula or Helena? Montana is a very big state and distances between major cities can be as much as 100 miles or more. Plan ahead with the DOT’s distance calculator. Find footware, backpacks, lanterns, knives, sleeping bags, cooking supplies, clothing, and more at Amazon. Travel tip: Be prepared for large temperature changes even in the same day. This is true for the summer months too. Many areas are at a high elevation and the state is far north. Think chilly or cold. The best advice is to take along clothing to “layer up” when conditions change. During the summer a wool sweater and a spring- or fall-like jacket of medium-weight is a good choice. Outdoors fun: hiking, biking, fly-fishing, horseback riding, golfing, skiing, whitewater rafting.